That’s nice but with this approach we only get to enjoy the complete design in the print composer but not in the main window. So what other options do we have? – SVG fills to the rescue! 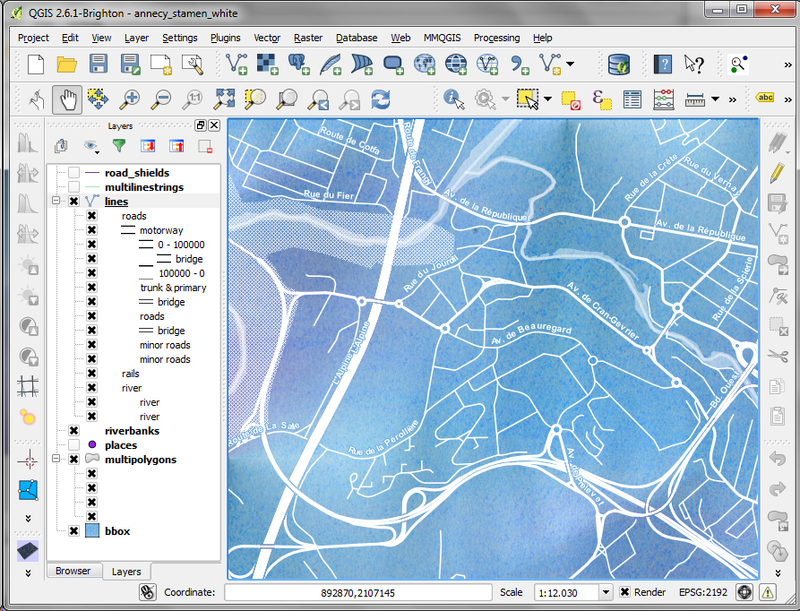 In QGIS, this SVG can now be used in any SVG fill. It’s important to set the Texture width setting to a quite high value when working with SVGs containing big textures, otherwise the images will be rendered very small and the repeating patterns will be very obvious. 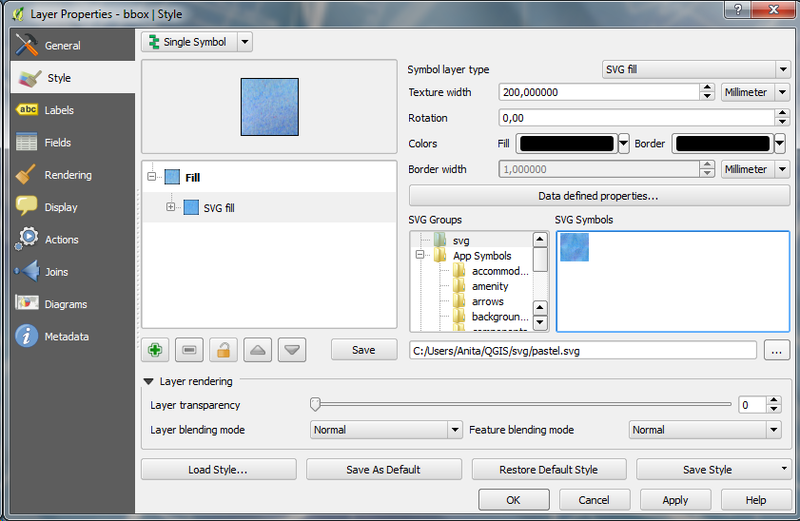 It’s worth noting that for QGIS >= 2.7 there’s a built-in “Raster image fill” symbol type, which avoids the need of embedding the texture within an SVG file. Thanks, that’s great news indeed! Have you tested how big the images can be? With this SVG solution, generating the SVG previews takes an excessive amount of time if the image is too big. I can’t see any issues with large images – when I developed it I was testing with ~ 2000px wide images and it worked OK. I think in general using the raster fill directly should be faster than embedding it in an SVG due to all the extra processing which is required for the SVG renderer.